What is the Piccolo Museo del Diario? 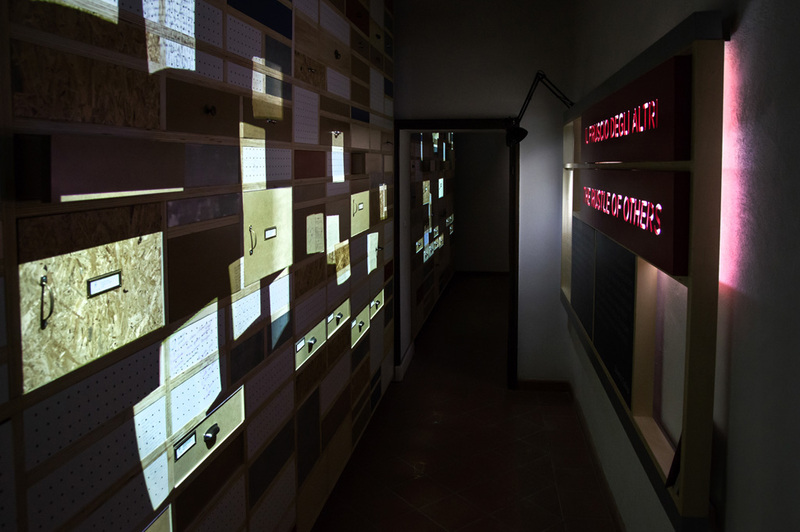 The speaking voices entering the museum, unexpectedly addressing the visitor, represent what Saverio Tutino, founder of the National Archive of Diaries, liked to call the “rustle of others”. The very same stories that he began collecting back in 1984, have become the walls of the Piccolo Museo del Diario which is dedicated to his memory. The rustle surrounds us, and leads us into the rooms of memory, transforming our visit into a unique experience of sounds, voices, light and words flying through the air. Step by step, the visitor is increasingly immersed in an intimate journey and an introspective dialogue with himself and his own past. Entering today the Piccolo Museo del Diario is like crossing a piece of history into Italy. Ideally, the visitor opens all the shelves of the Archive of diaries, discarding files, leafing through old letters, browsing diaries and listening to some of the over 8000 stories stored in it. Actors and performers such as Donatella Allegro, Andrea Biagiotti, Grazia Cappelletti, Simone Cristicchi, Diego Dalla Casa, Marco Paolini, Mario Perrotta, Paola Roscioli, Maya Sansa and Massimo Somaglino have given their voices to these stories. The Piccolo Museo del Diario was designed by dotdotdot, a multidisciplinary design studio based in Milan which has installed and programmed several electronic devices within the museum, harmonising technologies of audio and video elements, sensors, microcontrollers, lights, projectors and computers. The project was inspired by Mario Perrotta’s book, Il paese dei diari (Terre di mezzo Editore, 2009). The Piccolo Museo del Diario is the natural evolution of the “Impronte digitali” project. Since March 2016, the Piccolo Museo del Diario has joined the Valtiberina Tuscany museum network. Since October 2016, the Piccolo Museo del Diario is an official member of the National Museum of Small Artists. In April 2014, the Piccolo Museo del Diario has been chosen by ANMLI (National Association of Local and Institutional Museums) as one of the six most innovative museums, and was selected to take part in the 30th National ANMLI Conference. On November 6 2015, during the International Graphic Design Week in Milan, the Piccolo Museum of Diaries was awarded the Aiap Prize, an important “quality certificate” obtained thanks to “innovative design, unique content and, above all, a customer relationship with designers of strategic value”. On July 28, 2016, the Piccolo Museo del Diario obtained the recognition of “Regional Museum of Regional Relevance” from the Tuscan Region.